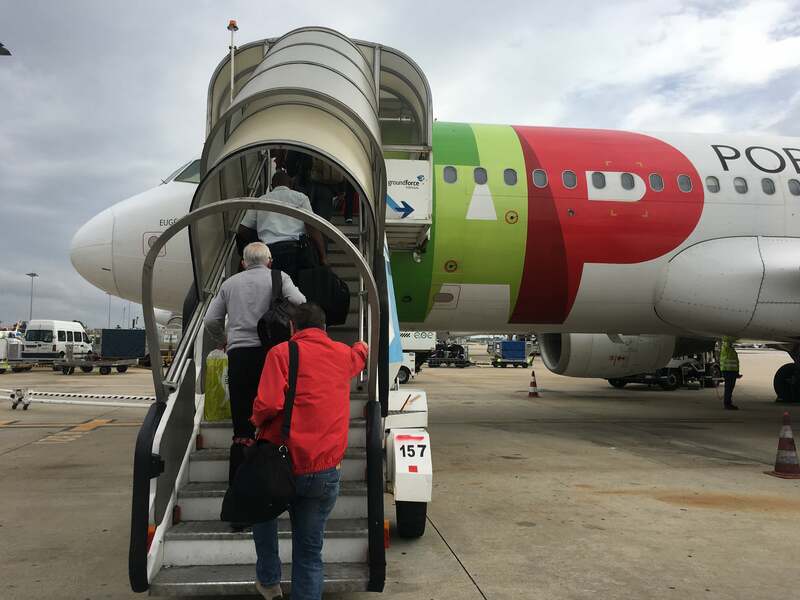 TAP Air Portugal’s economy product on the A320 was a disappointing experience. Pros: friendly service. 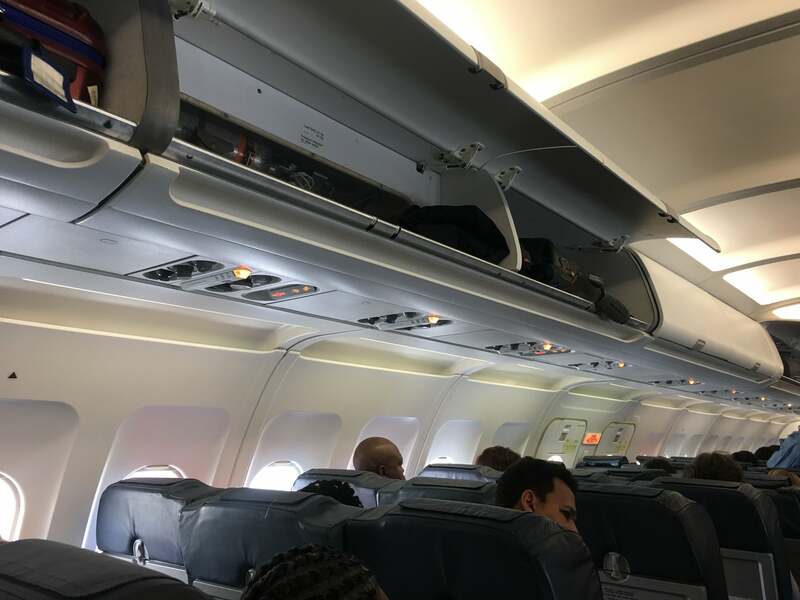 Cons: an old narrowbody plane, uncomfortable seats, poor organization, delays and lost baggage. The Points Guy recently hosted a PeaceJam conference in Accra, Ghana, and I got to join in on the action. 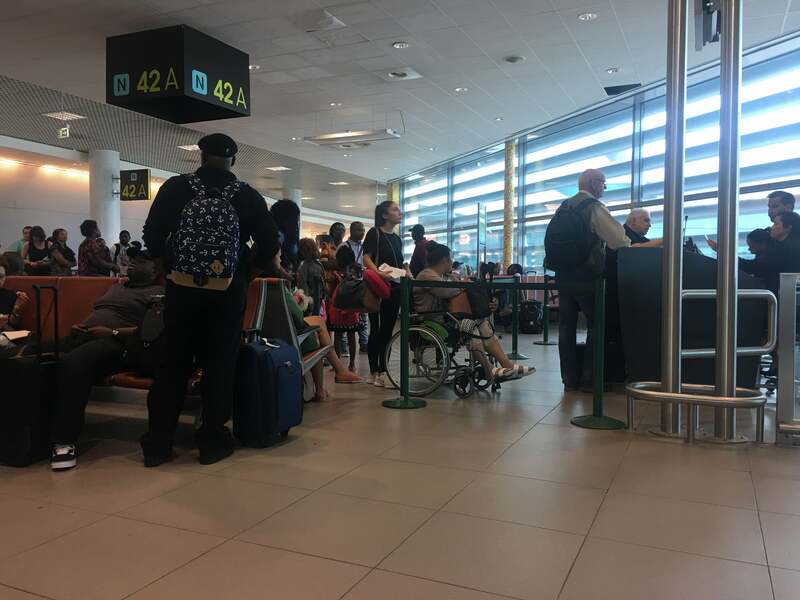 Being based in Madrid, I found that the most direct way of getting there would be to fly with TAP Air Portugal and connect at its hub in Lisbon (LIS). When searching for a flight, I noticed that TAP operated its narrow-body Airbus A320 aircraft — mainly used for short-haul flights within Europe — on the LIS-ACC route. I figured that I’d be happier taking a more direct route rather than flying north to connect in either Brussels (BRU) with Brussels Airlines or London (LHR) with British Airways, but I couldn’t have been more wrong — the six-hour flight in TAP’s economy class would end up being one of the worst flights I’ve taken in recent memory. Besides providing the most direct route, TAP Air Portugal’s economy flights were also among the cheapest, costing $895 round-trip. I used my Platinum Card® from American Express to purchase the flight, earning me 5x points per dollar spent on airfare. I earned a total of 4,475 Membership Rewards points, worth about $85 according to TPG’s latest valuations. Since TAP is a Star Alliance carrier, I credited my trip to United MileagePlus, and I earned 2,670 redeemable miles and 2,670 PQMs. I should have received double those amounts, since it was a round-trip ticket, but the return leg has yet to show up in my United account. I’ve submitted a missing mileage request form online and hopefully the matter will be resolved quickly, but as it stands now, I only got credit for two segments of my four-segment trip. If you’re looking to book this flight with miles, United’s a good place to start — a one-way trip between Lisbon and Accra will run you 30,000 MileagePlus miles plus around $45 in taxes and fees, while business (remember, this is intra-Europe business, so the seat is the same size as in coach) will cost 55,000 miles plus the same in taxes and fees one-way. MileagePlus is a transfer partner of Chase Ultimate Rewards, meaning you can instantly transfer points earned from cards like the Chase Sapphire Preferred and Sapphire Reserve at a 1:1 ratio. 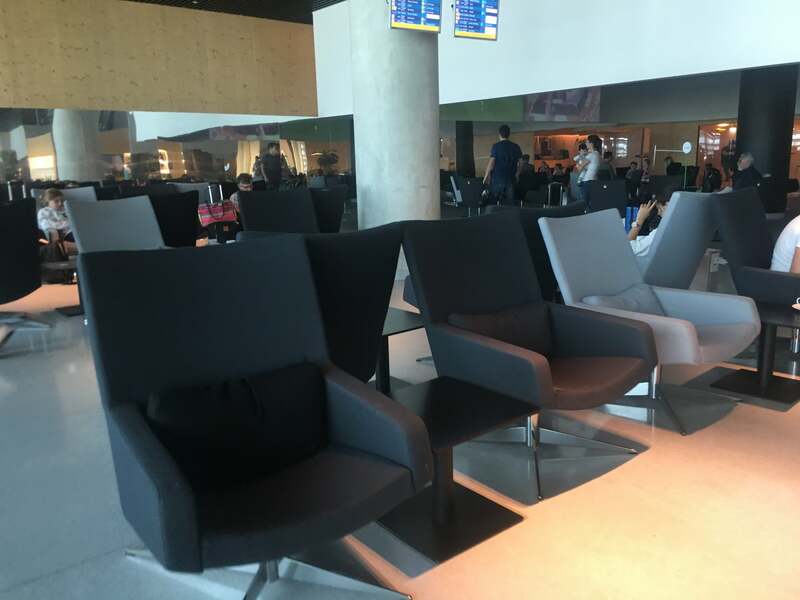 I began my trip in Madrid (MAD), so I checked-in there, and the process was easy and painless despite the renovation work that was being done in Terminal 2 at MAD. There was virtually no line at check-in, I had one boarding pass that was valid for both of my flights, and my bags were to be checked through to Accra. 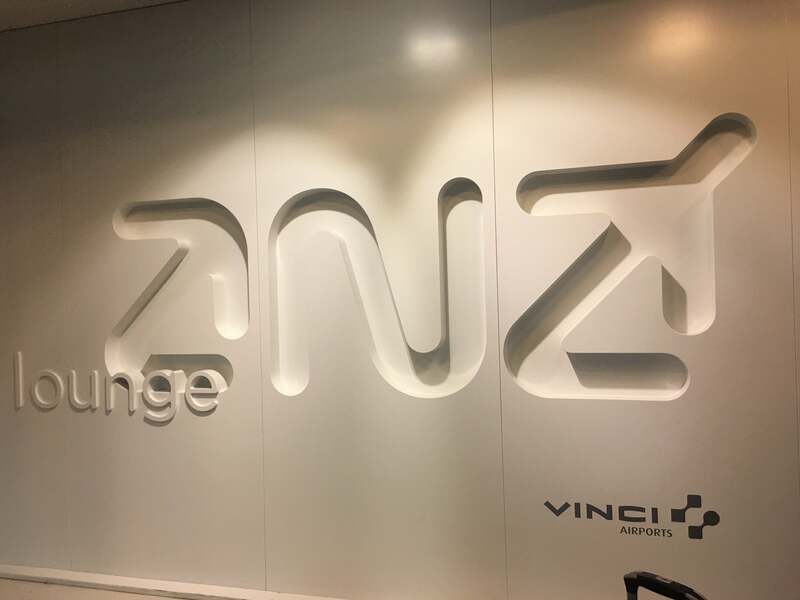 Once I arrived in Lisbon after the short hop from Madrid, I headed to the ANA Lounge in T1, which is a member of the Priority Pass network (and not affiliated with All Nippon Airways). The lounge was comfortable. 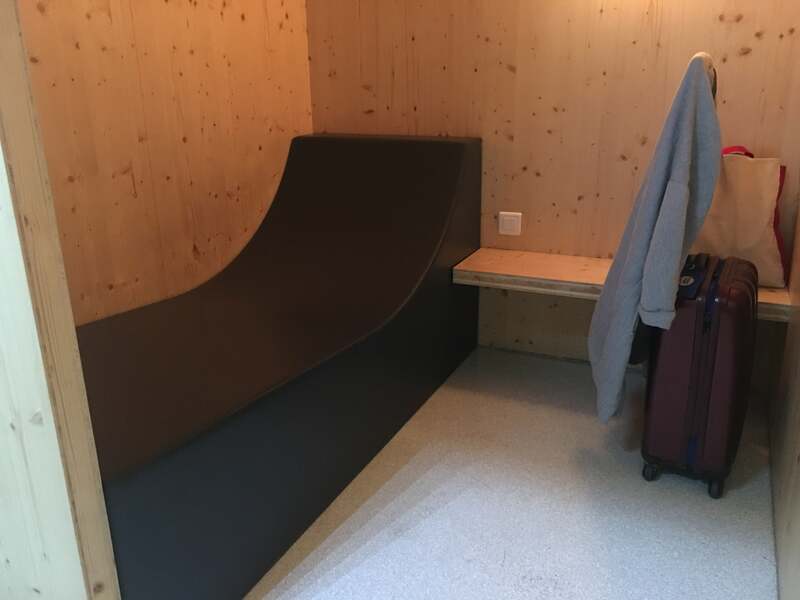 It had few food options, but I loved the fact that it had nap rooms (!!) and showers (shower kits were available for 15 euros, or about $18). After a brief stint in a nap room, I rushed through EU customs and headed to my flight to Accra. Once I got to my gate, I asked the gate agents how much it would cost to upgrade to business class. They told me it’d be 329 euros (about $390), which would be reasonable for a flight of this length on TAP’s A330s. However, this A320 was configured with the joke that is intra-Europe business class, meaning I’d get the exact same as in coach, but with a little bit more legroom and a blocked middle seat… I decided against the upgrade offer. The plane was parked at a remote stand, meaning we’d board a bus at the gate, and then we’d be driven to the aircraft. Boarding the bus was fairly tame, although no groups were called. Passengers lined up properly, and there wasn’t as much pushing and shoving as I’ve experienced with buses before. 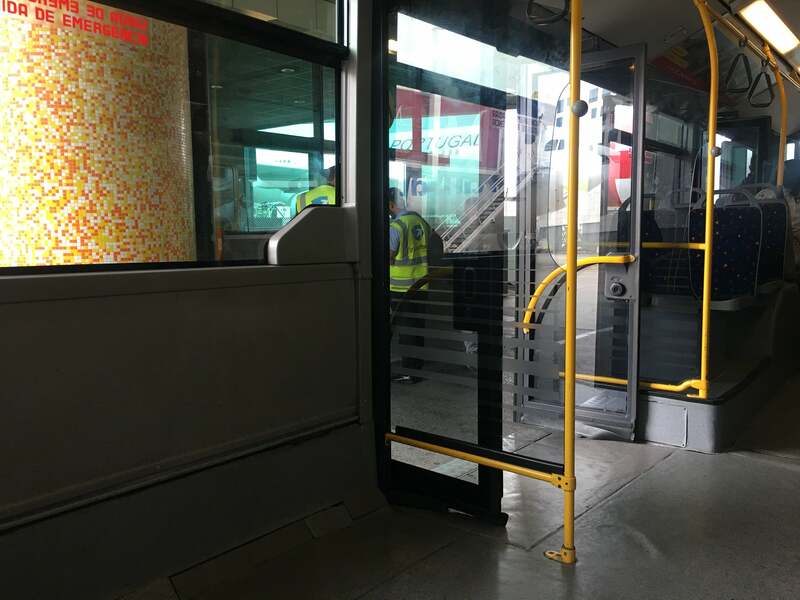 Once the bus arrived at the remote gate, the chaos really began. With both the front and rear boarding doors open, people simply rushed both doors without taking the position of their rows in the cabin into consideration. As I was basically in the middle of the plane, I could have opted for either door, but I headed to the front. However, there were people that had seats in rows four and five that boarded from the back door and then had to fight against the tide to shove their way to the front of the plane — things definitely got dicey for a few minutes. I made it to my seat relatively unscathed, though I felt I like I’d just escaped a mosh pit at a metal concert. This version of TAP’s A230 had 114 seats in economy in a 3-3 configuration. Business class had exactly the same seats but with the middle seat blocked off. The plane was dated, which on the plus side meant that the seats were more padded than those you’d find on newer versions of the same plane. 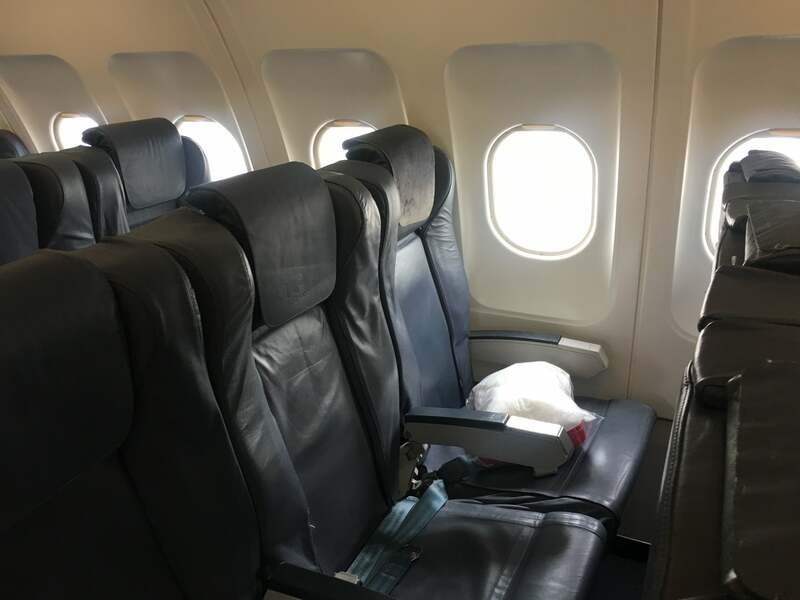 The economy seats, which had a pitch of 30 inches and a width of 18 inches, seemed fairly wide, though they were tight on legroom. 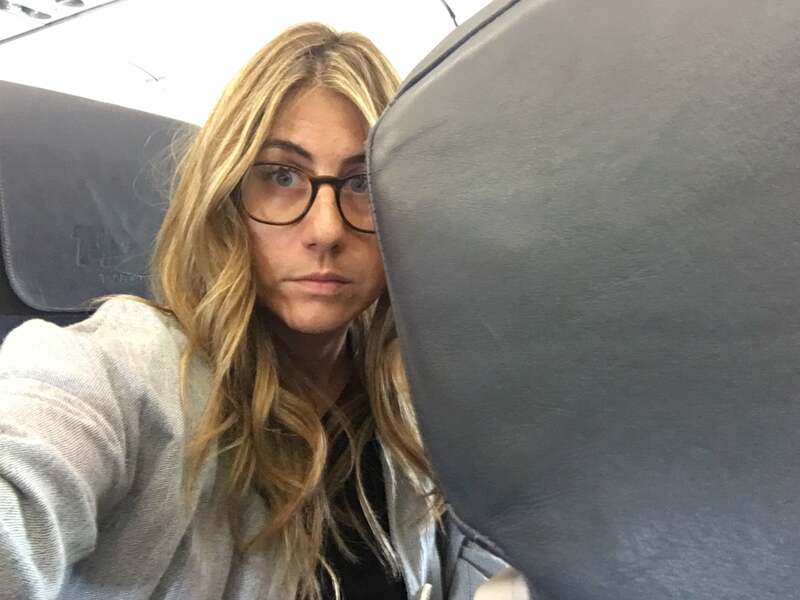 Every time someone put any pressure whatsoever on the top of a seat (e.g., to support themselves when exiting the row), it would bounce up and down, which was extremely irritating considering the people in the row behind me moved around quite a bit. Things got really bad when the person in front of me reclined their seat, which really torpedoed a lot of my (already limited) personal space. It happened so fast that I felt as if I had gotten punched in the face. If you can’t beat ‘em, join ‘em, though, I so I reclined in order to avoid complete claustrophobia, albeit more slowly than the passenger in front of me. 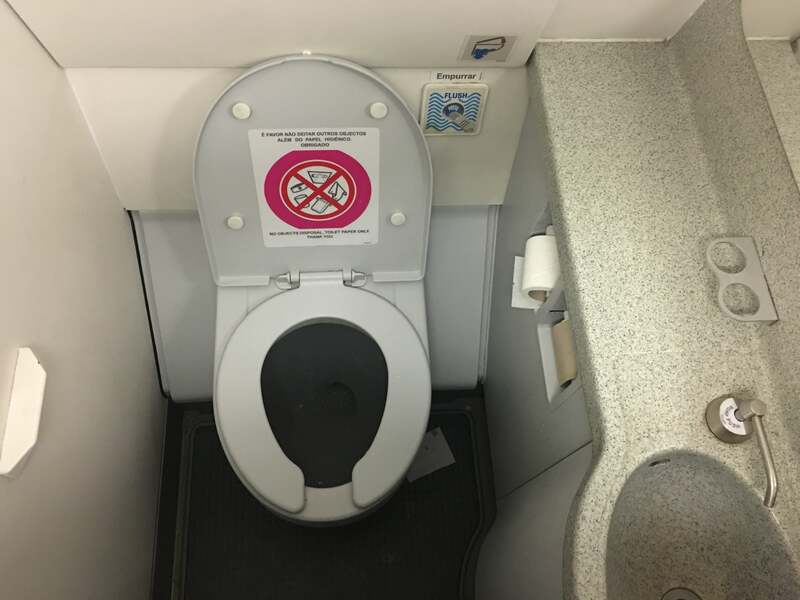 The lavatories were old and dirty, and the whole plane looked like it desperately needed a little TLC. Or possibly retirement. Wear and tear was visible on the armrests, tray tables, carpet and more. As far as lighting and décor, things were about as basic as it gets — the seats were leather and gray, and the cabin floor was covered by a musty, gray carpet. 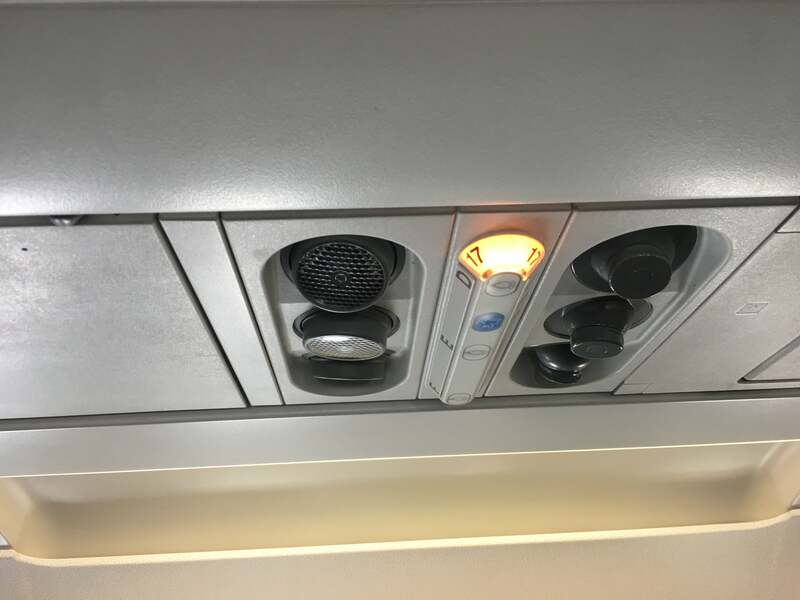 Each seat had a tray table, seat pocket in front and a light and air vent. 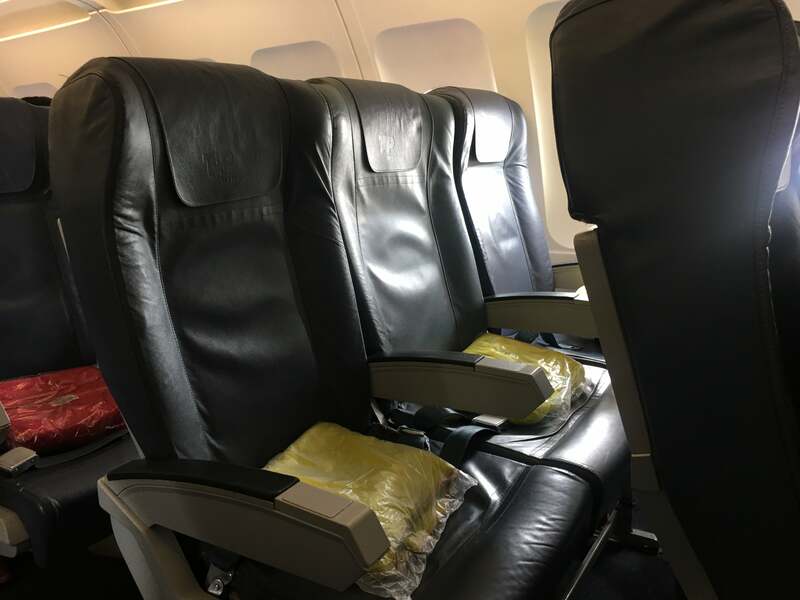 The flight was about 80% full, and it seemed that I’d scored a seat with no one beside me, but early in the flight a man decided to move into my row. He stomped over me and sat down in the middle seat. He proceeded to get up and down about 10 times during the flight, which, as you can imagine, made it impossible for me to sleep. We were delayed for unknown reasons for about an hour, meaning sat on the plane for a while before taking off. TAP must have done this on purpose so I could enjoy my luxurious surroundings for seven hours instead of six (sigh). 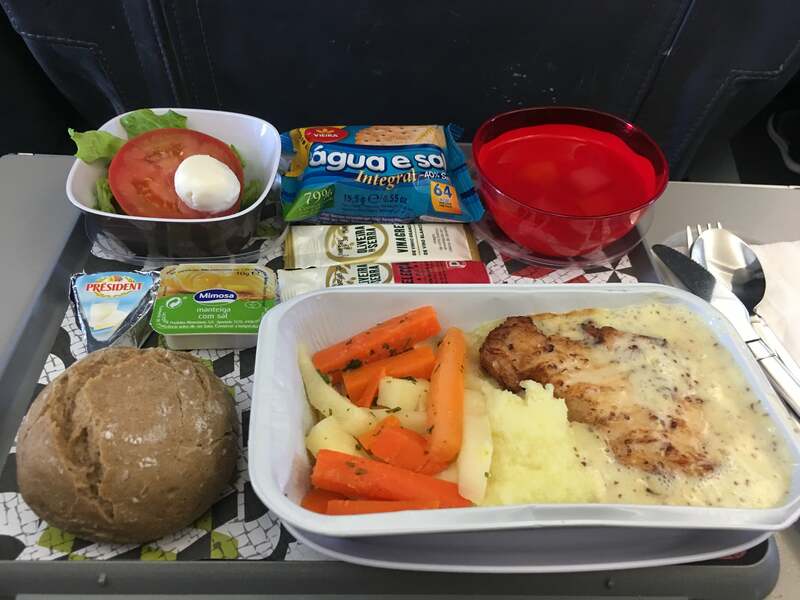 One meal was served during the flight, a lunch about 90 minutes after departure. I had a choice of meat or pasta. The meat turned out to be chicken with a mustard sauce, cooked vegetables and mashed potatoes. A small salad, crackers, bread and an unappetizing-looking gelatin were also served. The chicken was tolerable airplane food, not too dry and mildly flavorful. The salad was fresher than expected, but I didn’t go near the dessert. There was no entertainment whatsoever (except several small children running up and down the aisle shouting, if that’s entertaining to you): not a single TV in the cabin, no headphones offered, no screens, no charging options. 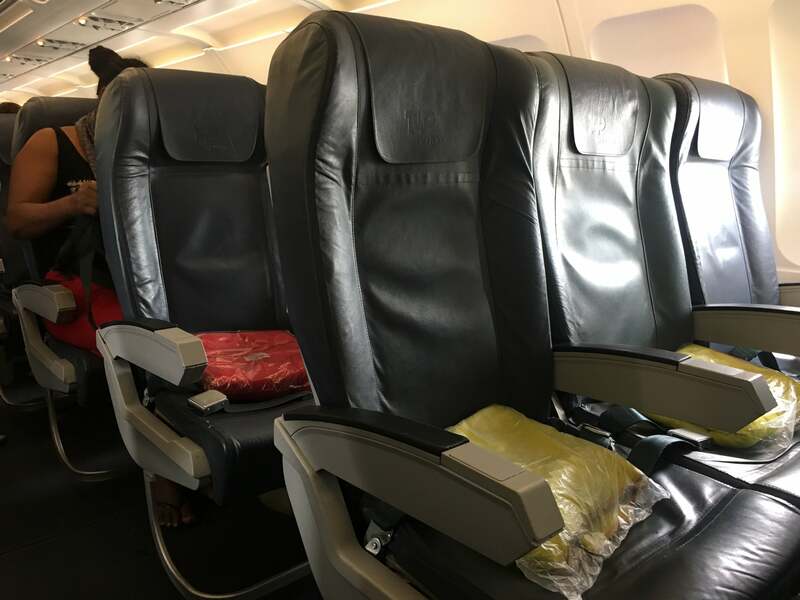 I noticed that while blankets were provided on each seat, pillows were only offered in business class. The flight attendants were friendly and spoke both Portuguese and English well. 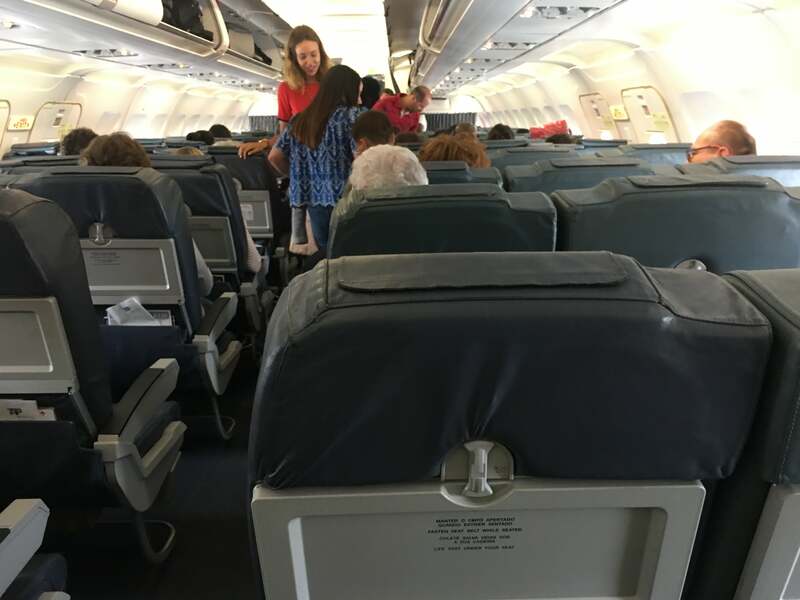 The service was better far better than other elements of this flight — I was greeted separately by each attendant on the flight. They seemed more attentive than the average cabin crew. After finally getting off the small, aging aircraft in Accra, I was greeted with the sinking realization that my luggage had been lost. I waited for almost two hours in a steamy room without air conditioning to report the luggage missing as other angry passengers mobbed the desk. I was told I’d have to return to the airport at midnight almost 48 hours later to get my bag and that there was no way it could be delivered to my hotel. I did report back as suggested and was happily reunited with my suitcase, which was sitting in a corner. Luckily, I managed a trip to the market where I was able to pick up essentials, but it’s safe to say that TAP really ruined the first couple days of my trip. The friendly service was the only redeeming quality of this delayed, turbulent flight operated by an old and decrepit aircraft. TAP’s A320 needs a big update, and, in my opinion, shouldn’t be used for long-haul flights. Considering other European airlines fly widebody jets between various hubs and Accra, I clearly made a critical error when I booked this ticket in hopes of streamlining and shortening the journey by choosing TAP. Surely, the Lisbon-Accra flight isn’t a prestige route for TAP Air Portugal, but I’m tiring quickly of the trend of putting narrowbody planes (especially when they’re as old and nasty as this one was) on intercontinental flights — keep those birds on the short-haul flights, please! Hopefully, the route grows for TAP so that it can upgauge the equipment — maybe, just maybe, I’d be convinced to give the airline another try if it put its brand-new A330neo on the route. If I return to Accra in the near future, I’m not flying TAP. I’d rather go out of my way to fly another airline so as to have a more comfortable experience — and so that my luggage arrives with me, too.